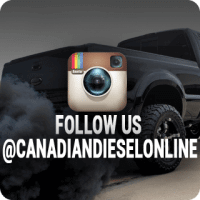 Canadian Diesel Online (CDO) is committed to maintaining the accuracy, confidentiality, and security of your personally identifiable information ("Personal Information"). As part of this commitment, the following Ten Privacy Principles govern our actions as they relate to the collection, use and disclosure of Personal Information. The principles have been built upon the values set by the Canadian Standards Association's Model Code for the Protection of Personal Information and Canada's Personal Information Protection and Electronic Documents Act. 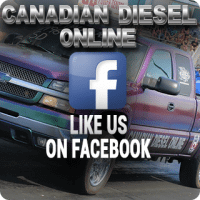 Canadian Diesel Online (CDO) is responsible for maintaining and protecting the Personal Information under its control. Canadian Diesel Online has designated an individual or individuals who is/are accountable for compliance with the Ten Privacy Principles. The Personal Information collected will be limited to those details necessary for the purposes identified by Canadian Diesel Online (CDO). Is my credit card information safe? CDO (Canadian Diesel Online) uses SSL (Secure Socket Layer) technology to encrypt your information.When you enter our site you will notice the browser change from http:// to https://. Depending on your browser you may also have a box appear stating you are about to view information over a secure connection. We use a 3rd party to process all of our credit card information and NO credit card information is ever stored on our website. Canadian Diesel Online (CDO) will make information available to our customers concerning the policies and practices that apply to the management of their Personal Information. Before Canadian Diesel Online (CDO) is able to provide you with any information or correct any inaccuracies, however, we may ask you to verify your identity and to provide other details to help us to respond to your request. We will endeavour to respond within an appropriate timeframe. If you do not receive acknowledgment of your inquiry or your inquiry has not been satisfactorily addressed, you should then contact the Privacy Commissioner's Office at http://www.privcom.gc.ca (or 112 Kent Street, Ottawa, Ontario, K1A 1H3), who will then serve as a liaison with Canadian Diesel Online (CDO) to resolve your concerns.